Although the FDA has allowed the use of MSG in food, experts recommend fibromyalgia patients to avoid it. Fibromyalgia is a chronic condition characterized by musculoskeletal pain. The symptoms include Fatigue, anxiety, and depression, ache all over the body, restless legs while sleeping, sleeping problems and waking up tired, amongst many. There is still no known cause of fibromyalgia, although there are various factors that contribute toward fibromyalgia. It is important for a person suffering from fibromyalgia to make significant lifestyle changes and one of the most important being a healthy and balanced diet. Food additives do not come under a healthy and a well-balanced diet. One of the most common symptom in fibromyalgia is irritable bowel syndrome and changing your diet can have a huge impact on this symptom. For this, a fibromyalgia patient has to establish a diet that is well balanced and is rich in fiber as it helps in reducing the symptom. However, it is important to note that food additives are most of the time added to the food we eat. Some of these food additives such as MSG can cause severe problems. Monosodium glutamate (MSG) is most of the time used to enhance the flavor of the food. It is commonly found in Chinese food and packaged foods and beverages. Although approved by the U.S Food and Drug Administration (FDA), many exerts and consumers have raised concerns about this food additive. Some of the side effects of MSG include headaches, rapid heartbeats, sweating, chest pain, and fatigue. What is a Food Additive and its effects? A food additive is any substance added to food to improve or enhance its flavor, appearance or to preserve the food. 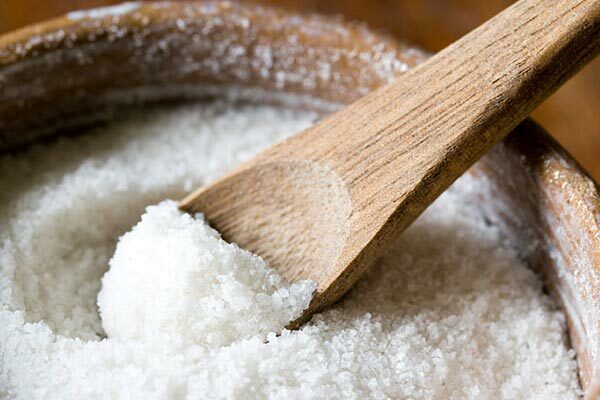 A food additive known such as MSG or monosodium glutamate, is one of the most common food additives which is found in many processed foods, has been known to influence fibromyalgia symptoms. It can cause severe problems that are very difficult to detect in their initial stages. The MSG acts as an excitotoxin molecules, a chemical group that has the ability to activate neurons that increase sensitivity to pain. Studies around the effects of food additives on fibromyalgia are limited however few small researches and case studies have shown that chemical food additives might influence fibromyalgia pain. For example, a small research conducted in Portland revealed the same. The study included fibromyalgia patients who had irritable bowel syndrome. These patients underwent a month-long diet without such food additives. Thirty percent of the fibromyalgia patients experienced a reduction in their symptoms. After the month-long diet without these additives, the same fibromyalgia patients were asked to drink juice with a placebo or juice mixed with MSG for three days. Patients who drank the MSG included juice found their symptoms getting worse. Likewise, there are various other studies carried out which points out that fibromyalgia patients may feel less pain if they reduce or eliminate food additives such as MSG. According to a study published in “The Annals of Pharmacotherapy”, the elimination of MSG and other excitotoxins from the diets of patients with fibromyalgia offers a benign treatment option that has the potential for dramatic results in a subset of patients. The study looked at four fibromyalgia patients who were diagnosed with it for two to seventeen years. All of the patients went through multiple treatment modalities and had responded well to a diet without MSG. How to eliminate food additives from your diet? The first and foremost step in eliminating food additives from your diet is to identify the food additives. There are many food additives named in various different ways. It is important to be aware of some processed foods that contain these ingredients. Any kind of Foods and beverages labeled as “DIET” should be carefully studied or checked for aspartame in the ingredient list. It may be difficult for a person to avoid these foods, however, if you are a fibromyalgia patient it is recommended that you be very careful. Keeping a list of foods and beverages that you are aware of or that has theses additives, so that you will know it as soon as you see it. You can also keep a list of food and beverages that you are sure that has no food additives. One of the best ways to avoid food additives is to prepare all of your foods at home with carefully checking the ingredients that you use. After going through the process, again and again, it will be easier for you to eliminate these food additives. This will make you more cautious and in turn, make your life living with fibromyalgia easier. It is important for a fibromyalgia patient to try and work out to eliminate these additives from their diets. Experts have suggested that this can reduce the pain and improve the symptoms by taking a more natural approach to their food. It is also recommended that a person suffering from fibromyalgia may want to take a slow approach to the much healthier diet. It is recommended for fibromyalgia patients to replace MSG with natural spices to flavor foods. If a person suffering from fibromyalgia can eliminate these food additives, he may experience a reduction in his muscle and joint pain and also experience an overall improvement in his conditions after a period of avoiding these foods. However, anyone wishing to change their diet should always consult a doctor or a nutrition before making any major changes in your diet.